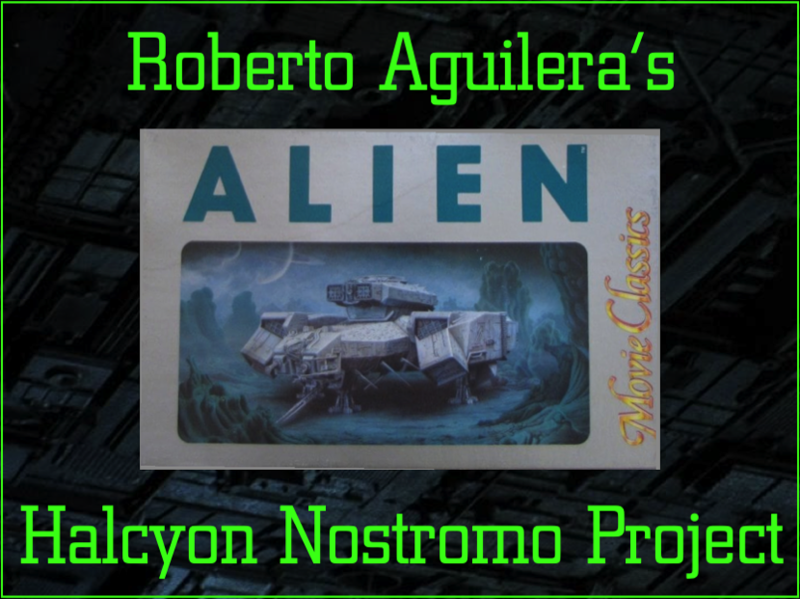 After more than a year of hard work and pain-staking attention to detail, Roberto announced recently that his Halcyon Nostromo kit is finished! Since December 2017, Roberto has shared his progress with the details and painting of the kit. What he has accomplished is something unique: a 1/960 scale model kit with so much detail is could easily be mistaken for a miniature many times its actual foot-long length. Roberto took a kit that is proportionately accurate, but lacked the level of detail that model kit builders expect today. Using techniques that require more patience than most of us could ever muster, he applied layers of detailing, paneling, paint, and weathering that have resulted in what could I consider one of the most amazing Nostromo builds I have seen in my 19 years of internet research. I hope the folks involved with producing this kit back in the 1990s have the chance to see this! Many thanks to Roberto for his generosity in sharing his photos and work with me over the past year. It has been a treat to be along for the ride. If this is the first you have heard of Roberto’s project and you would like to review past posts of his progress, click here for all of them. Please visit Roberto’s Facebook Page, and the other Facebook Pages he has posted to, and let him know you enjoyed his project. And tell him The Nostromo Files sent you? Previous ALIEN, el octavo pasajero is re-released in Spain on this date in 2015.